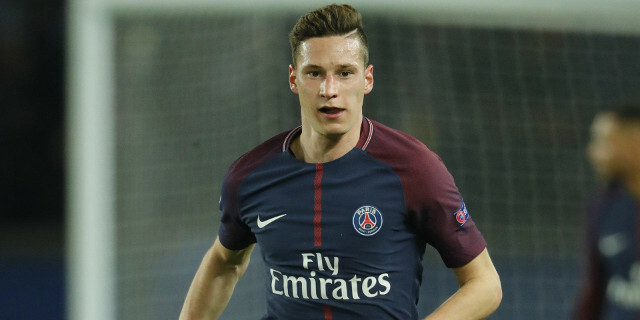 Liverpool’s customary interest in Julian Draxler has seemingly resurfaced ahead of the intriguing January transfer window. The German has regularly emerged as a target for the Reds, with Arsenal also believed to be avid admirers of the attacking midfielder. Draxler was linked with a move to Anfield towards the end of his Schalke career, but subsequently ended up making a big-money switch to Paris. He has since, however, reclaimed his place in the gossip columns having endured a mixed year in France. Liverpool have initial contact over a possible loan deal for the 24-year-old, according to French outlet L’Equipe. Draxler’s opportunities have been somewhat limited since the arrival of Neymar and Kylian Mbappe, who have both cemented starting spots as part of PSG’s front three. The Confederations Cup winner has recently adopted a deeper midfield role as he looks to rediscover his value to Unai Emery’s side. Liverpool’s apparent interest in the Ligue 1 star is likely to have been fuelled by speculation linking Philippe Coutinho to Barcelona. The No.10 remains a target for the Catalan giants, who had three bids for the Brazilian rejected by the Reds during the summer. Coutinho’s ongoing saga has proven to be the foundation of numerous transfer stories linking Jurgen Klopp to familiar European playmakers.